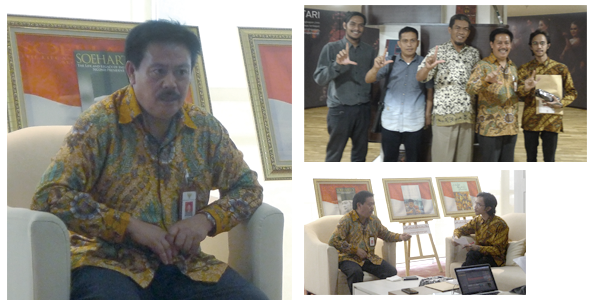 An Interview with M. Syarif Bando, the Head of National Library. Indonesia inaugurated the new building of the National Library, on September 2017 in Jakarta. Now that we started a new year, the new building symbolizes a new leaf for Indonesia – not only does it serve as the source of information and knowledge, but also as an institution that hopefully would bring back reading habit to our culture because, without it, libraries will render useless. 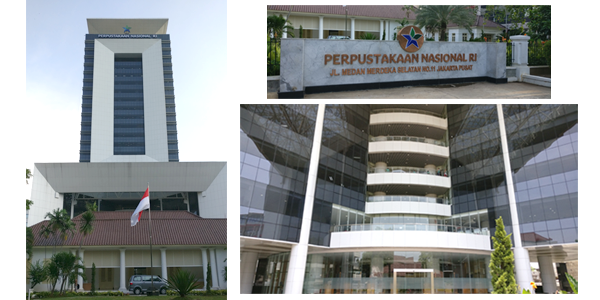 The new building of National Library of Indonesia. 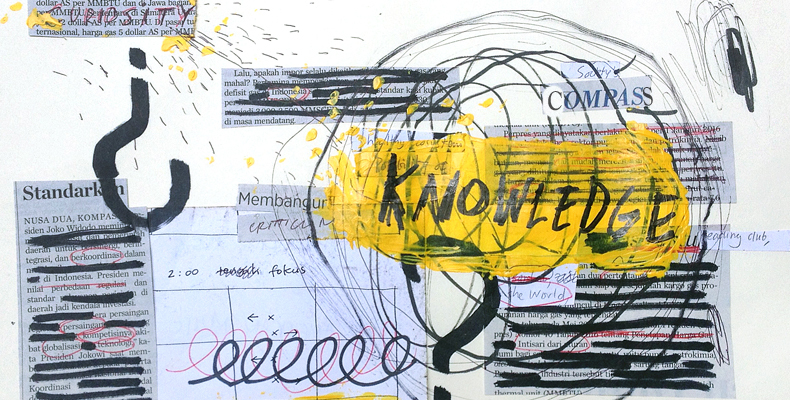 Indonesia’s reading culture has been a debatable topic. The debate revolves around whether Indonesia has a low rate of reading culture. According to NOP World Culture Score (2005), Indonesia scores higher in time spent for reading compared to innovative countries such as US and Japan. 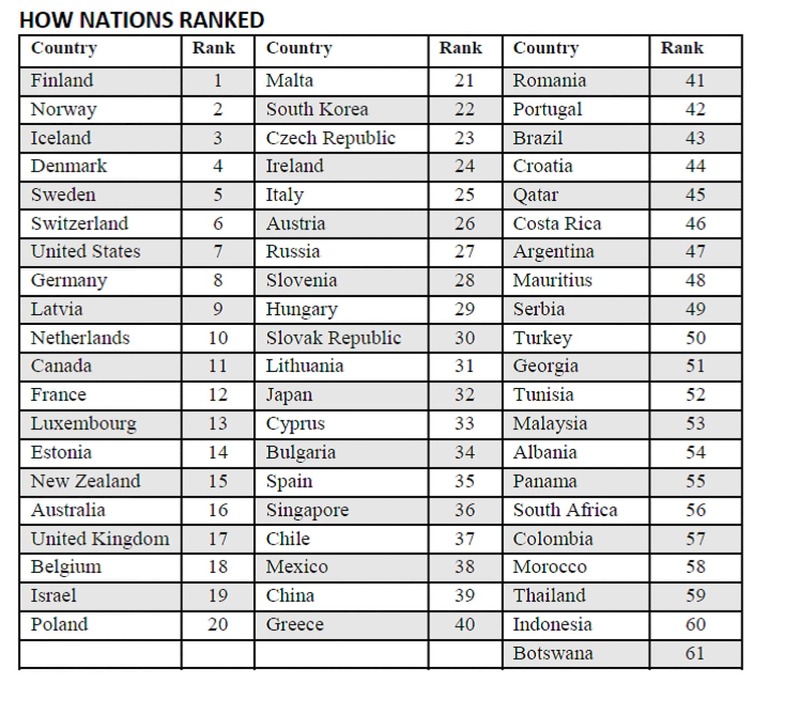 However, The World’s Most Literate Nations (2016) by J.W. Miller puts Indonesia in number 60 out of 61 countries in terms of literacy. Reading is defined as the ability to obtain and process information and turn it into a body of knowledge. It takes a good writing skill to turn the raw information into a well-grounded, well-structured body of knowledge. It means, reading and writing skills are two inseparable parts in the realm of reading culture. Historical evidence hardly shows indications that Indonesia has possessed reading culture. Ancient inscriptions found across Indonesia were mainly created for religious purposes instead of as a means to record knowledge. From those inscriptions, it is safe to say that Indonesian ancestors were indeed aware of the importance of keeping information, but they did not have the curiosity and skills needed to develop the information into a body of science. Perhaps our ancestors had a great deal of knowledge, but since the knowledge is passed down to the next generation orally, then the chance to survive is very slim. Some of them might have already disappeared before we even know it. To this day, oral culture in Indonesia is still dominant. If it did not change, would libraries be still relevant? Library is the manifestation of reading culture. It was invented as part of knowledge institution to collect, store, and manage information and various sciences. Reading culture itself stemmed from people’s desire to satisfy their curiosity, and consequently, created criticism. Criticism is a form of thinking process in which questions breed questions, and answers breed new questions. Criticism is the core of science. Hence, as a friend once said, science would never reach an end. Science exists so that mankind can understand and solve the mystery in their environment. In the past, only the ones with “magic power” are deemed to understand volcanic activities. But, since the birth of volcanology, ordinary people have a chance to learn about (at least the basic of) volcanoes. The same goes with other sciences. The birth of science and printing technology have led to dramatic increase in the production of notes, records, and reading materials. This is where library plays its part: as the media where information and knowledge are stored, where people can retrieve them and develop science. If reading culture in Indonesia were not growing, libraries might become irrelevant, especially since Indonesians have a tendency to abandon the things that they are unaware of the importance. To encourage reading culture, we first must entice people to become curious and motivate them to be critical. It should not stop at campaigns. There must be a concerted effort that involves different parts of society: families, government, public, and cyber world. The National Library cannot take this burden alone. If you are curious to know what challenges faced by Indonesia’s National Library, the following interview may give you a little insight. LttW: Is the National Library under the supervision of Ministry of Education and Culture or the President? M. Syarif Bando: The National Library is a non-ministerial institution, operating under direct supervision of the President. So, the Head of the Library is appointed by and directly report to the President. With that said, since our duties are closely related to education, we coordinate with the Ministry of Education for daily works. But, we shouldn’t be preoccupied with coordination matter. Our main concern is to implement the mandate of the state, which is to combat ignorance and poverty in this country. What challenges have the National Library been facing? The main challenge is quantity. Indonesia needs around 125,000 librarians, but currently we only have 3,000 of them. Secondly is finance. Our budget is not more than Rp700 billion [equivalent to U$51 million. Ed]. For the whole country, it is minuscule, especially when we are talking about more than 200,000 libraries. Third, is culture. We have yet to make books our heroes, whereas we need to read a lot to have vast knowledge. Without reading, we can’t expand our knowledge. We can’t change people with physical efforts. People have to change on their own by changing their mindset. This is where books play a role. Books are like a strong doctrine that would drive people to change. Our brains are influenced by books. Human brains are structured based on books, arranged by certain methodology. So, if people read more then human brain will be structured either in deductive-to-inductive or inductive-to-deductive manner. As we know, Indonesia’s education curriculum does not support reading culture. Have there been any efforts to improve our reading culture? I wouldn’t go into the curriculum; there’s a ministry responsible for it. I’d rather explain the position of libraries and education in this stance. Education is an institution that ensures one’s learning process, from learning to read to learn about a particular subject, in a certain structure. Since we have a fixed structure, students don’t get to freely choose to learn what they desire at anytime they want. When the teacher is teaching physics, for example, students in the classroom cannot just suddenly switch to learning math. On the other hand, the library is a free space. We can learn anything that we deem important or what we want. Libraries become the stronghold of the most fundamental part of democracy, fulfilling the basic rights of the people, and libraries do not recognize any discrimination of ethnicity, race, and religion. Various reading areas inside National Library of Indonesia. There are teachers who teach universal knowledge, but hardly any teachers that teach about Jakarta, Bandung, and Surabaya. But, thousands of books have been written about them. We can’t neglect the efforts to improve our education quality. Besides learning how to read and learning certain subjects at school, we have to be able to learn independently. It is said that all the lessons we learn from kindergarten to post graduate level only contribute about 15-20% of one’s total knowledge, meaning that 80% of knowledge is learned from books, experience, labs, etc. Even though books are widely available, the reading culture in Indonesia is very low. Isn’t it the role of education to encourage reading interest? I don’t agree that we have low reading interest. The reading trend among millennials in the whole world is going downhill because of social media influence. Nevertheless, it’s not correct to say that Indonesia has low reading interest. I recently met with the Minister of Villages, Disadvanted Regions, and Transmigration. He told me about when his Ministry displayed books on the beaches, strategic places in villages and remote areas; children were “fighting” over the books, and those who didn’t get one cried. So, in what way is our reading interest low? Also, if we look at the history, Indonesia remains the country with the most alphabets to this day. If you say that we have a gap in terms of books distribution across regions, then you are right. Big cities have many reading facilities; there are bookstores, public and special libraries, and universities. But in remote areas, such as Arfak Mountains, Raja Ampat, South Manokwari, Meulaboh, Pidie, or Anambas, there are hardly any reading materials available, not even newspapers and magazines. Yes, and the second is to formulate the purpose of reading. When we talk about literacy, first of all, it is about one’s ability to collect reading materials that allows them to exist on their profession. Second, it is the ability to listen or comprehend the implied meaning of the texts. Third, it is the ability to express their ideas about what they know. Fourth, the ability to create from what they know. That would be our dilemma if we say that we have low literacy index. Because the very definition of literacy is the depth of one’s knowledge of an object, not merely to read. Either we read from the Internet or books, the important thing is that the person gains beneficial information that may open up various opportunities. How should the distribution policy look like? President Joko Widodo has made an agreement with PT Pos [Indonesian Postal Service] that on every 17th of the month, we send books for free of charge; under the condition that the maximum weight for each package is 10 kg, regardless of the quantity. The National Library knows quite well about the low rate of reading interest in addition to the uneven books distribution. Thus we make sure that the government distributes books to places like border areas, village libraries, community libraries, Islamic boarding schools, houses of worship, and correctional facilities. Does that include foreign books? We seldom send foreign books because we know that people in remote areas need more of applied knowledge. Applied knowledge is practical, for example, [knowledge on.Ed] how to grow catfish and improve the nutrition, keeping and maintaining, as well as the marketing. For higher education institutions, we have e-resources that are all written in English. In e-resources you can find journals and e-books. In universities, students don’t speak foreign language that much – except those who are in graduate or post graduate program. About technology, with Indonesians’ low level ability to seek and manage information, especially now with Internet that store massive amount of information, our bibliographical logic seems to be more confused. Moreover, the information is not necessarily correct. What should we do about it? You may compose your scientific papers with references from the Internet, but when you quote you have to mention who wrote the book, published by whom, what year, and the page number of the text you quote. That’s why, to me printed books will not be replaced, and God willing that libraries remain one of the strongholds to keep hoaxes at bay; because we will always have to find the evidence. Even though there are keywords, social media is essentially a media for promotion, business, and advertisement, not for knowledge sharing. We have a software called Ipusnas, where books are available in full content. We buy the copyrights since it is regulated by DRM [Digital Rights Management]. If we have 10 copies, then ten people can read the same book at once. If these books are all on the borrow status, the next person in need will be put on the waiting list. Now, how does the government deal with a book that has a long waiting list? Well, the person can always buy the original book because we put the name of the publisher. If they don’t want to buy it, then they simply have to wait. If the waiting list is quite long, we will add more copies.. But, won’t the presence of e-books in the National Library make people more reluctant to read print books? No one knows for sure people would be more inclined to read electronic books over print. But, if you ask of the proof, it’s obvious! Many studies suggest that people tend to endure reading print books longer than the digital version. So, we have to look into groups of society. Writers, researchers, and academicians may tend to choose hard copies. For me, the joy of reading a hard copy is incomparable because it is easier for me to understand the content. Moreover, reading hard copies has its advantages: we don’t need any other facilities such as Internet connection, computer, we don’t have to wait for the loading time and so on. Second, the depth of academic level that we gain from reading [printed.Ed] books compared to digital books is very different. Why? Once we read a book, we completely trust the book. But, if it’s on the Internet we still need to verify its accuracy. No academician would say that they quoted this and this from the internet. What about the criticism culture in Indonesia? We often see research in Indonesia lacking of its originality. Most academics simply parrot the world’s leading experts, but they hardly arrive at a conclusion based on their own experience. So, if people simply quote someone, then they are nothing more than a messenger. To me, a nation’s level of independency is measured from its people’s ability to express their opinion as knowledge evolves. So, if people simply quote someone, then they are nothing more than a messenger. Writing for international journals is also a factor. When we send our research to an international journal, we have to pay for it and there is no guarantee that it will be published. That has become the burden of academics to ensure their universities maintain an international standard. The development of knowledge in every country is a direct, inseparable part of the competition among nations. It means, when Indonesians declare they are experts in certain fields, other nations will announce their strengths too, even though they are actually curious. Supposed I wrote an academic piece on the lifestyle of people in a tropical country where the climate doesn’t change much all year round. Then came experts from a country where people only see the sun three days in a year, or experts who only see the rain three times a year. Would people like them be able to judge our work or the originality of our work? We all come from different countries where each has different setting and condition. Competition…and other countries would show their dominance in their own way, that they are greater than us. This is unavoidable. So, we can’t just show the theory. Indeed, UNESCO has a program called Memory of the World, where all knowledge is listed and become the property of the world. But one should not forget that each country has its own way in treating the application of knowledge. Indonesians are actually smart, aren’t they? But, why do we neither stand out in science nor flourish in national product? When it comes to nation, public space is also an important element to train us to process information and directives since early age [for instance, traffic signs in Western countries are part of children education]. How does the National Library run this public space? Well…we collaborate with correctional facilities under the Ministry of Law and Human Rights, as well as [donate books.Ed] to the houses of disadvantaged people, empower women by educating both children and mothers. We also donate books to early education learning centers and reading communities. It shows that we have set our foot on those public spaces, but this is just the beginning. We still have to think about the mechanism, procedures, and review the results and outcomes. And we have to admit that our people do not have the awareness about the importance of having knowledge evenly distributed in the society. To buy, keep, and respect books are still a ‘luxury’. It is said that parents would be embarrassed for not buying their children mobile phones, even buy them credits four to eight times a month. But they [parents.Ed] are not embarrassed for not buying books, in fact even complaining that books are expensive. We have to eradicate this culture together. Everything indeed starts from education.. Yes. As Malala [Yousafzai.Ed], the Noble Prize winner from Pakistan said we don’t have one problem, but thousands. And there is one way to solve it: through education. And education is the heart of library. She likened it to adding salt into a glass of water. The taste of the salt will be overwhelming. But, if we pour that salt into a lake, it won’t change anything. That is an analogy for the extent of our knowledge. The less knowledge if we have, the more problems will overwhelm us. A simple matter can become an issue. But, if we have a vast knowledge, everything will be easier to tackle. How do we teach people that knowledge is important? We can look into the history of Japan, [South.Ed] Korea, Singapore. Now, these three countries have incredible technological advancements and are recognized all over the world. If we want to go down that path, we have to learn from their past. How the Japanese respect teachers, books, and how they still stick to their root. Japanese are also aware that without knowledge they would die out, because they have no more than 10% of natural resources. This is deeply embedded in their mind. The same goes with the French. This is a stone, and if you can’t turn it into a diamond, you’ll die. It’s their doctrine. How about us? We’ve been cuddled with a song that says stick and stone will feed you. No wonder people are getting lazy. So, our problem is not only ignorance, not only poverty, but it all begins from laziness. There is an anecdote that goes like this: Why aren’t Indonesians rich? Because there’s only one breadwinner for nine freeloaders. Why are Chinese rich? Because there are nine breadwinners and only one freeloader. It’s that simple. To be able to achieve what those countries have achieved, all spheres [government, education, public, families, even digital] must be integrated. What are the plans for this? That’s the dilemma. It’s easy to talk about coordination in Indonesia, but to actually do it is another story. We don’t seem to want to get there. This library obviously exists to give a space for the whole society. And the only thing that is sophisticated about this library is the ‘case’. 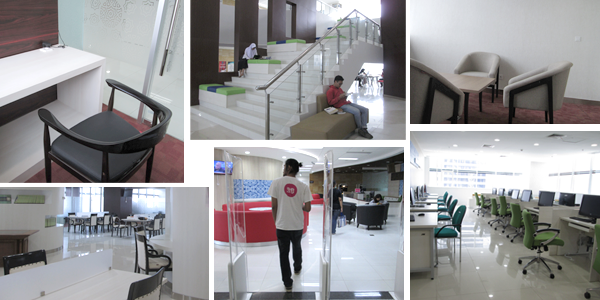 We expect in the future, the human resources and the content will suit the necessary sophistication. That’s why we invite people to come, give us suggestions and criticism of what they want this library to be like in the future. So societies have to play their parts too, don’t they? We keep on promoting this, but [the National Library building.Ed] is only a symbol of civilization. There is no way people of Bekasi would come here every day, let alone those in Bandung, Surabaya, eastern Indonesia, Papua, and Sumatra. What we hope is that we will have libraries, as mandated in the law, across the country. It doesn’t have to be fancy, but we should have plenty of them where they can serve the community well, to provide the community with the needed reading materials. And there should be an education on how to implement the applied knowledge. At the end, the library will become the bridge of past, present, and future knowledge – it will take the people to a civilized society. Last question, are there any programs in which volunteers or interns can be involved in the National Library? We are very open to synergize. Recently, we had a meeting with world-class librarians. They are the volunteers of reading culture. Some of them donate from their own pocket, some raise their own funds or get the funding from a CSR [Corporate Social Responsibility.Ed] program. We designed this library to have plenty of rooms for public discussion. And if you would like to invite experts, you can hold the discussion here. You’re most welcome. The pleasure is all mine. Please, support us. We are on the same boat. M. Syarif Bando, The Head of National Library of Indonesia. Sweet, what a good news! I hope that it could be the rise of Indonesian literacy. Interesting interview! It’s rare to see officials telling the truth.